Your Optometrist in Edmond, OK. Call us at 405-348-3937 today. Welcome to Within Sight Vision Center. 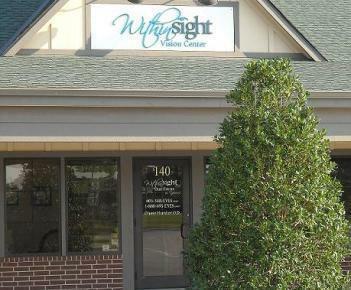 Within Sight is an Edmond optometrist relied on by those seeking the best possible eye care and reasonable prices. Dr. Chase Hunter and the Within Sight Vision Center team strive to provide the finest in optometry services. We invite you to browse our website to learn more about our optometry services, and invite you to join our patient family by scheduling an eye exam appointment at our Edmond office. Within Sight Vision Center is a full service eye and vision care provider and will take both eye emergencies as well as scheduled appointments. Patients throughout the Edmond area come to Within Sight Vision Center because they know they will receive the personal attention and professional care that is our foundation. Dr. Hunter and our team are dedicated to keeping our patients comfortable and well-informed at all times. At Within Sight Vision Center, we will explain every exam and procedure and answer all of our patient's questions. Additionally, at Within Sight Vision Center, we offer vision financing options and will work with vision insurance providers to ensure good eye health and vision care for all of our patients. Our one-on-one approach to optometry makes Dr. Hunter and the Within Sight Vision Center staff the eye and vision care providers of choice in the Edmond area. Our Edmond optometrist offers the following services: complete eye exams, contact lenses, glasses, glaucoma testing, and pre- and post-operative care. For a complete list of services, visit our services page or call our Edmond office at 405-348-3937. At Within Sight Vision Center, we are dedicated to providing high-quality optometry services in a comfortable environment. Call us at 405-348-3937 or schedule an appointment today online. Dr. Hunter's pride and joy is his family. He has been happily married to his wife Erin since 2002. They have five wonderful children, Coleman, London, Crew, Paisley, and Cross. In their free time they enjoy local shopping, car shows, and taking their Labradors swimming. Dr. Hunter is a board member of the Karis Adoption Fund. He was also awarded the Adoptive Advocate of the Year in 2012. "We love Dr. Hunter and is staff! I wish I had a hundred more friends to send to him."